We have a huge blog hop going on from 18th to 20th of April between the joining teams from Lindy's and Stencil Girl. 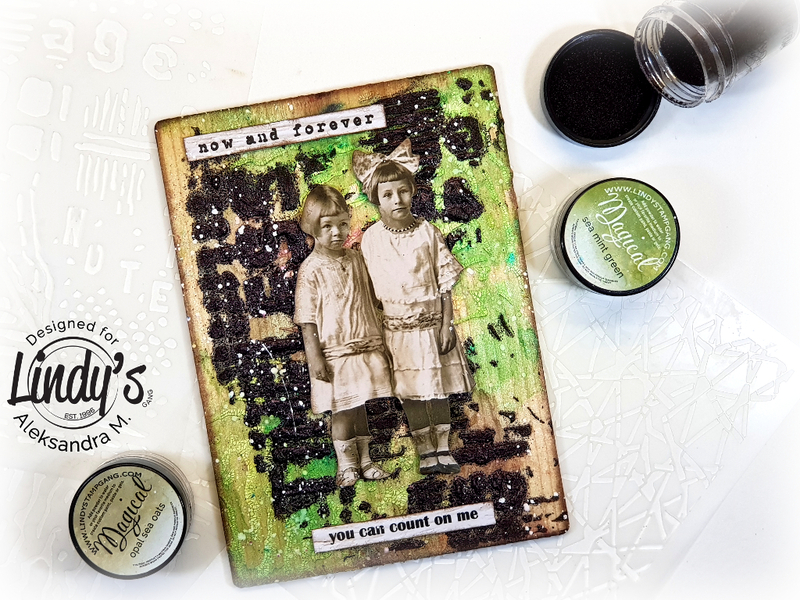 There are so many brilliant projects that you can gasp over in these three days, filled with inspiration using gorgeus products from both companies. 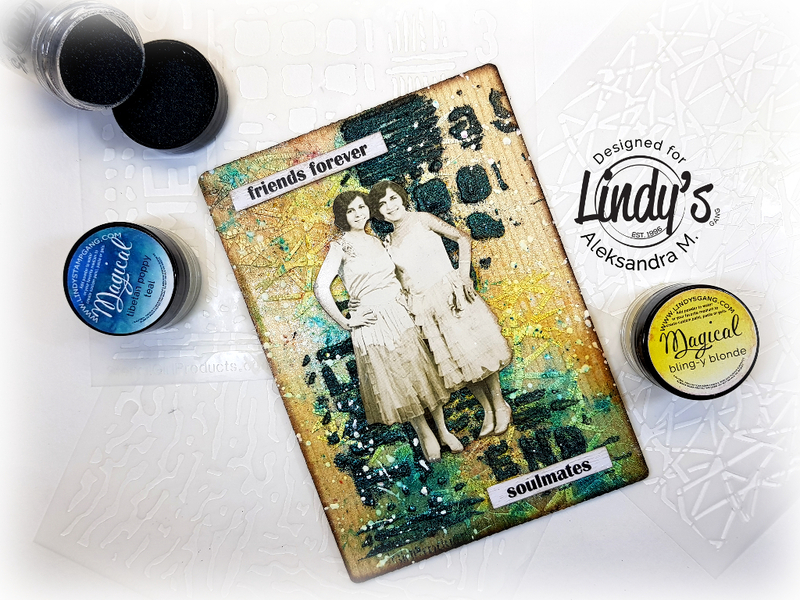 So those who love Lindy's magical colors and great quality stencils with amazing and interesting patterns, you don't want to miss this. Plus... not to mention all the amazing prizes that you can win if you decide to join in the hop. 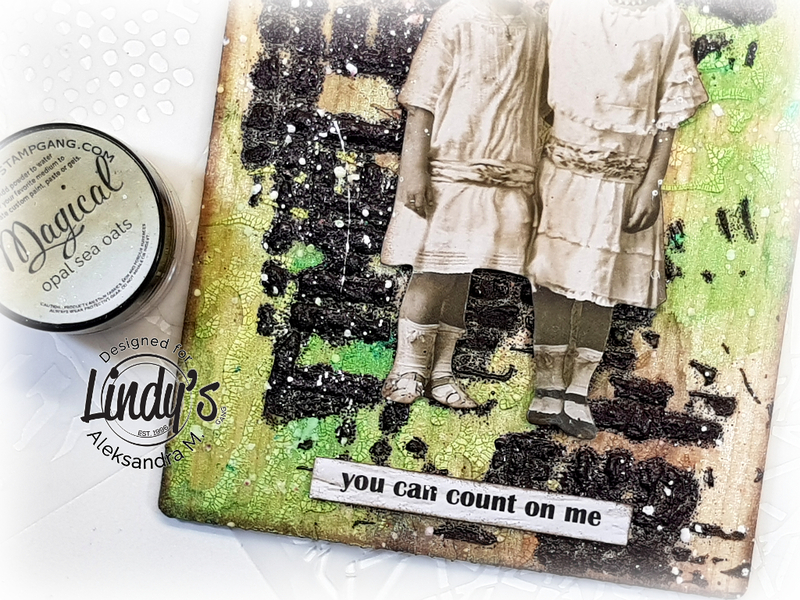 One lucky winner will receive both 25$ Gift Certificate to Lindy's gang and a 25$ Gift certificate to Stencil Girl products. Fractured glass stencil (code S024) and Seaweed stencil (S099). 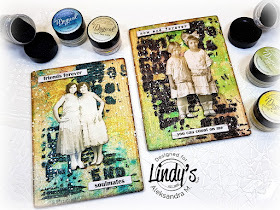 I applied white crackle texture paste through them and Lindy's gang Magicals on top of it. I used Tibetan poppy teal, Bling-y-blonde, Sea mint green and Opal sea oats Magicals. 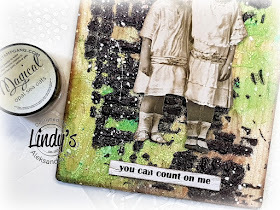 And on top of it I used Timeless stencil from Stencil Girl (code S216). 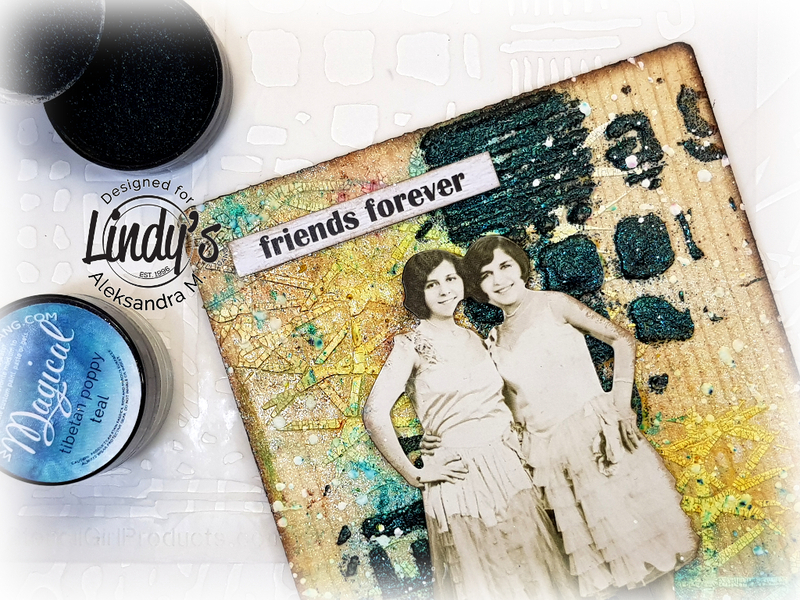 I applied white texture paste through it and I sprinkled some Lindy's embossing powders Midnight teal and Midnight copper on top and heated. I love the 3-dimensional effect this gives! 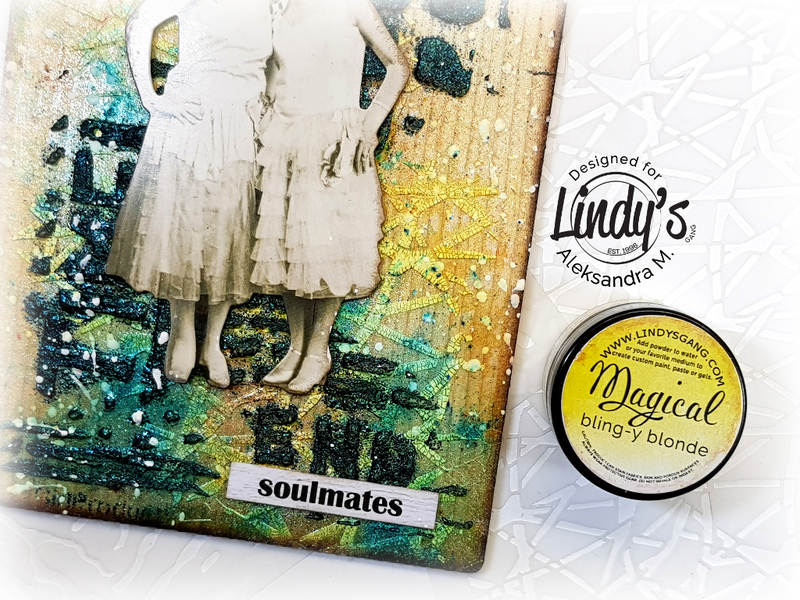 As I mentioned one lucky winner will receive both 25$ Gift Certificate to Lindy's gang and a 25$ Gift certificate to Stencil Girl products, together that accounts to 50$ in gift certificates for both companies. Thank you for stopping by and leaving some love for all of us who love to create to inspire you! Enjoy your day and see you soon! The textures and colors are soooo good... beautifully done! Wow love it! It's beautifully done! Love the texture so much! Those greens are so pretty! You got great results with these products. I love your images! Wow! Such an amazing inspiration! Both your creations are stunning! Thank you for sharing and inspiring! So sparkly!! I love them. Thank you for sharing! Love the cards! thank you for sharing your process. Love the EP on this! These are beautiful. 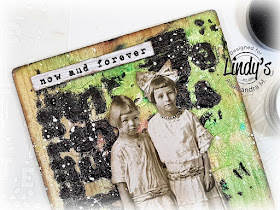 I like that you can use these for very vibrant projects as well as these vintage ones. Beautiful projects. Love these colors you used. So pretty with the great textures. Gorgeous vintage feel to this and the backgrounds are to die for! Thanks for sharing! Great combination of texture and colour! Fabulous project, thanks for sharing! Just bought those Tim Holtz paper dolls for the first time, love how you used them! Lovely texture and colors. 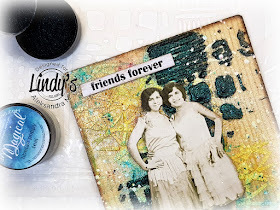 Great idea of combining texture paste and crackle paste, I love the results. These look great! I really enjoy vintage projects! Your background is amazing and sparkly! I love it! are wonderful. thanks for sharing. 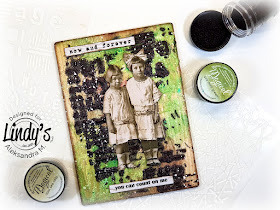 Lovely use of mixed media! A stunning project. Love all the details. Beautiful work my dear friend! Thank you so much for sharing your inspiration!